It is never easy to deal with the death of a loved one, friend, or someone that you know. 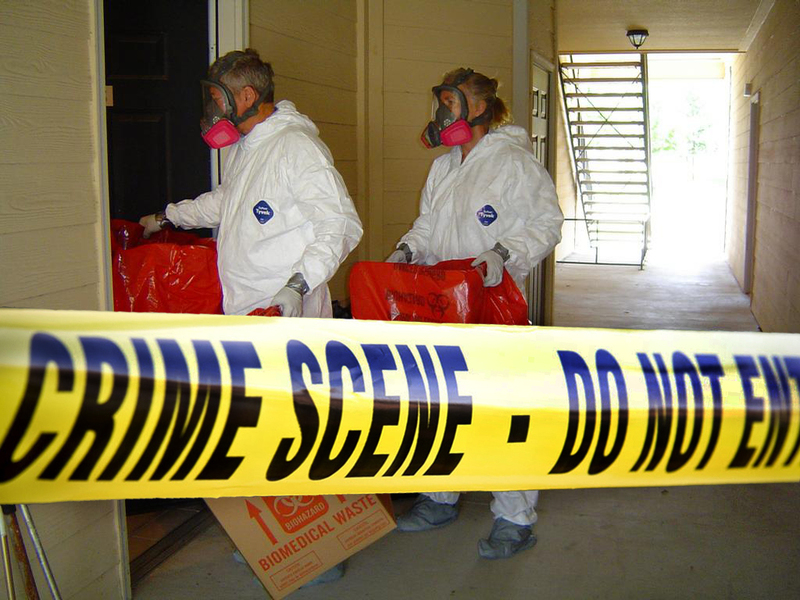 If you or a loved one has fallen victim to a crime and are in need of professional cleanup services, The Restoration Pros is the company to contact. With 20 years of experience handling sensitive situations such as these, we can provide you with a sense of peace following a horrific and traumatic experience. 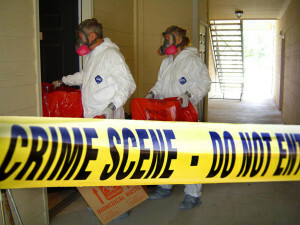 Our teams are specially trained in crime scene cleanup, so you don’t have to take this on yourself. The area in which the event occurs needs to be cleaned, sanitized, and decontaminated according to safety standards so that the family or anyone inhabiting the home or property is not harmed. The Restoration Pros is certified in blood-borne pathogen cleanup, and follows all OSHA safety precautions when cleaning the affected area. The process that we utilize will completely rid the area of any harmful contaminants that can be present in blood and bodily fluids. After a crime has been committed, the loved ones are usually left to clean up the aftermath. This can be an absolutely traumatic experience, and no one should ever have to deal with cleaning the area after losing a valued loved one. These situations are almost always unexpected, and that is why we are available for you 24 hours a day, 7 days a week, and 365 days a year. The Restoration Pros will be there quickly to take care of the situation, and take some of the stress and despair off of your shoulders. In the situation of a crime that involves blood and bodily fluids, it is imperative to call professional services. Although it may be hard to do so, it will ensure the safety of everyone involved. We are committed to maintaining your privacy throughout this whole process. Tragic and unexpected events can catch the attention of the public eye, and you can trust that The Restoration Pros will never share your personal information with anyone unless legally required to do so by law. Do not worry about dealing with the insurance company , as we take our own time to handle it and any claim information that may be needed. We will do anything in our power to make sure that this process goes as smoothly as possible for you and everyone involved. We also offer affordable payment plans we well. You may even be eligible for crime victim reparation funds, and we can provide you with more information when you call us.